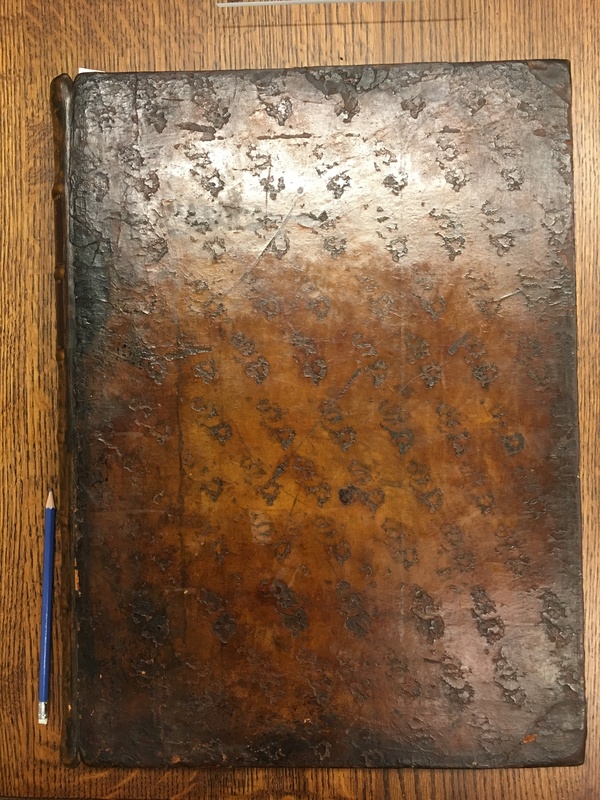 Front cover binding of volume one with pencil for scale. 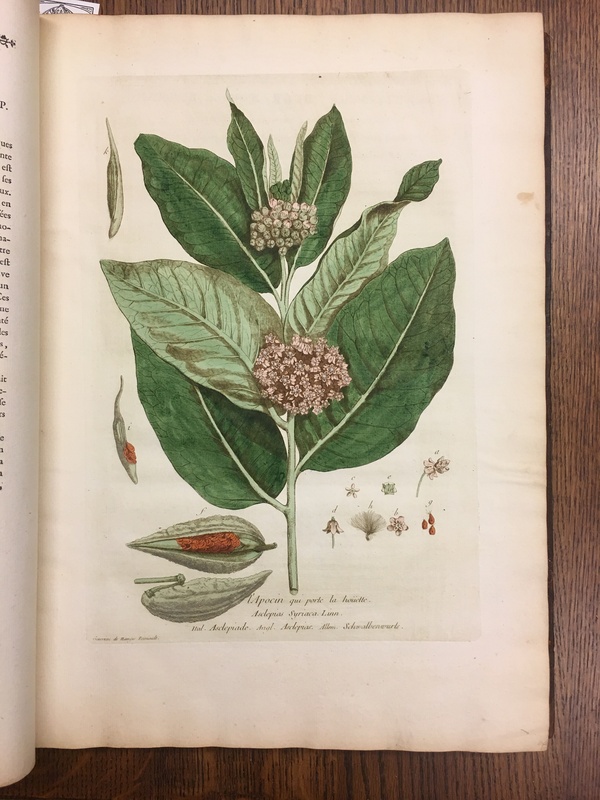 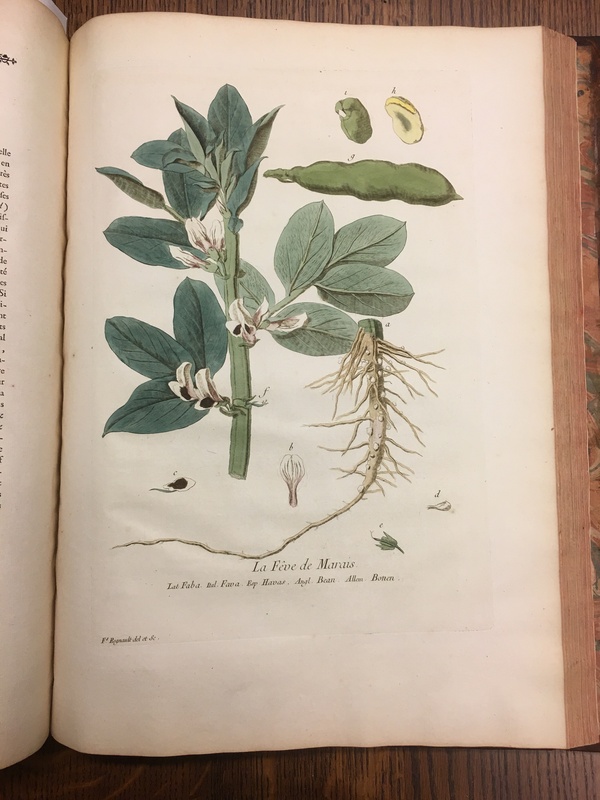 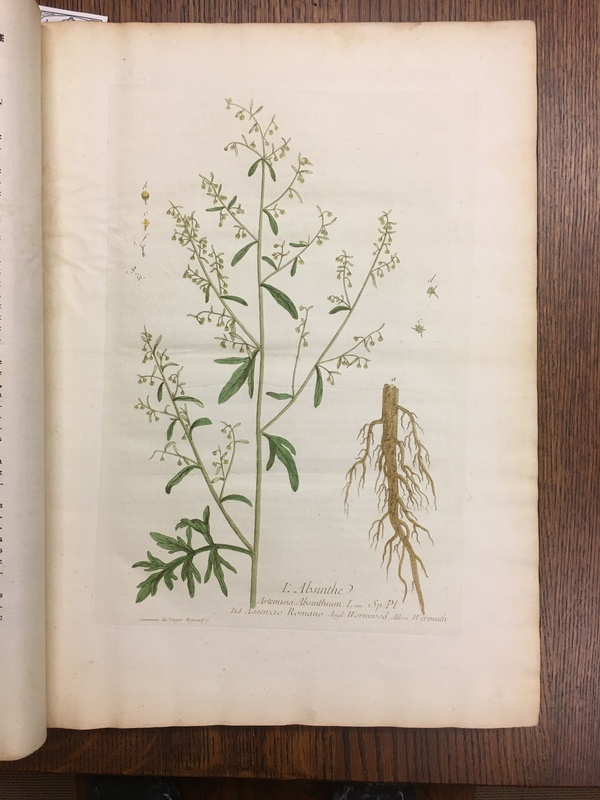 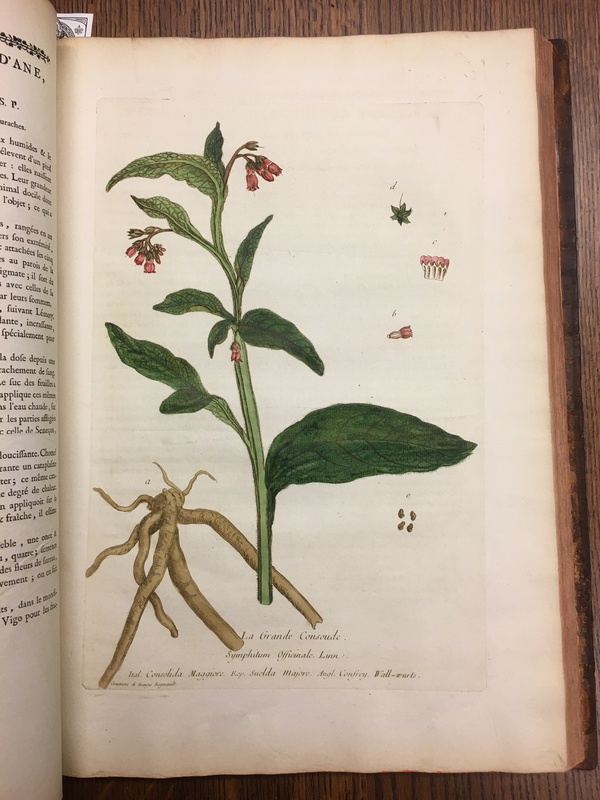 Since we’re in the middle of a deep freeze in Toronto, we thought readers might appreciate some spring-like images from our rare book of the month, La botanique mise à la portée de tout le monde. 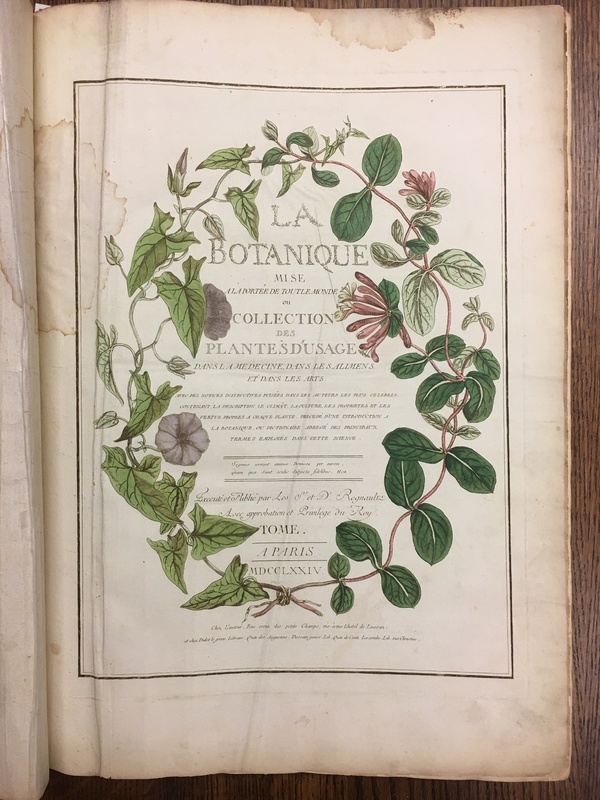 Botanical artist, Nicolas-François Regnault and his wife, Marie-Geneviève-Charlotte Tondu de Nangis, also a botanical artist, produced this 1774 masterpiece of botanical illustration, with de Nangis completing the drawings and Regnault engraving them. 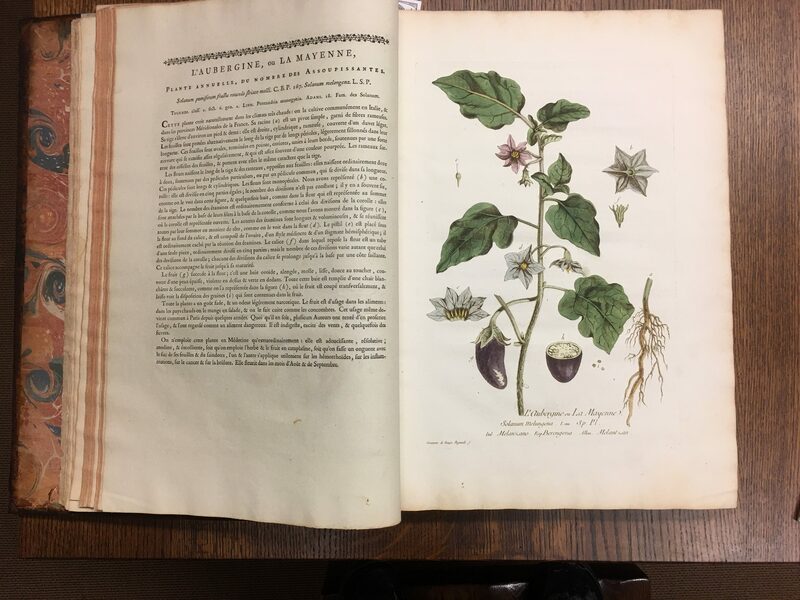 Although difficult to tell from the images here, the work is a massive 48 cm tall, three volume set with over 400 hundred colour plates depicting plants that are edible or have medicinal qualities. 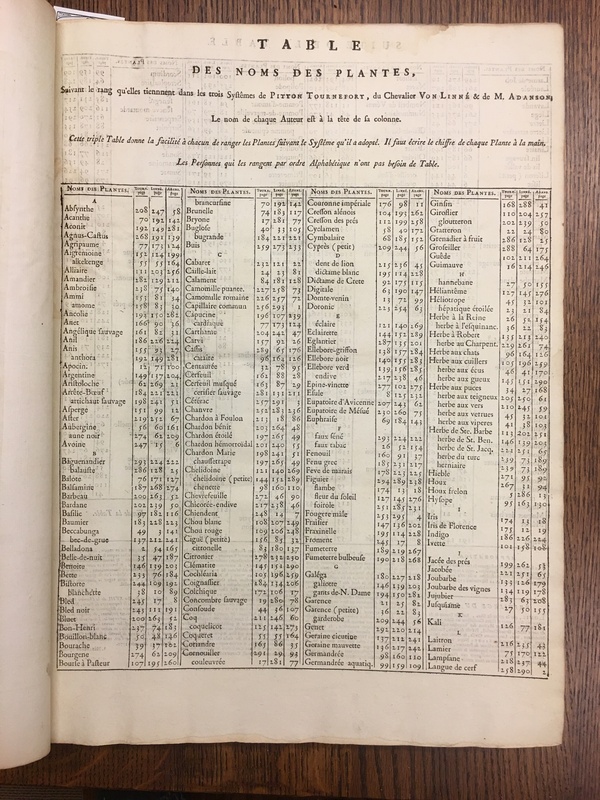 Each image has a full textual description on the facing page.